Andrew's blog recently marked its four year anniversary. Celebrate with him, by entering to win a HUGE bead stash via this week's Thursday Giveaway! 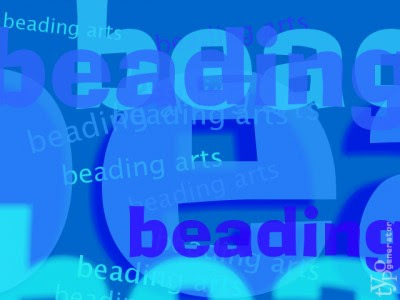 A new beading component is on the market, created by and named after our fellow bead blogger Katie Hacker. As part of the "Start a New Hobby" theme running through About.com's hobby blogs this week, Tammy takes a moment to think about jewelry as more than a hobby. What about jewelry as a job? Want to capture a bit of the summer? This week's collection of sea beads will keep those summer memories alive all year 'round. Carmi was at CHA in Chicago and has a fabulous post about Prima Marketing. This week's rewind makes a statement. Jean reviews a SUPERfantastic new book by all star stamper and metalworker, Lisa Niven Kelly!